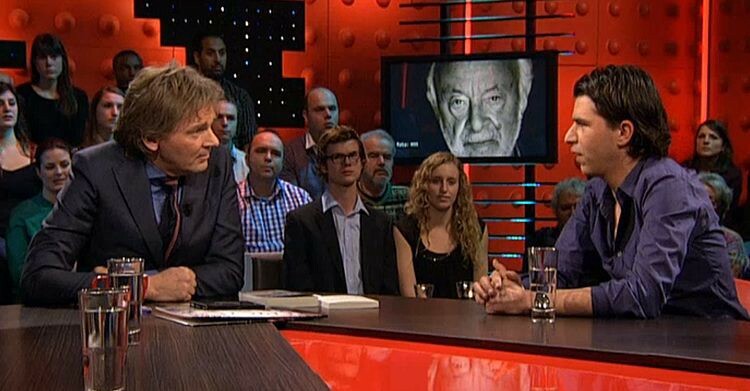 On March 18th, Rob appeared on Holland’s most popular television talk show to launch the campaign. 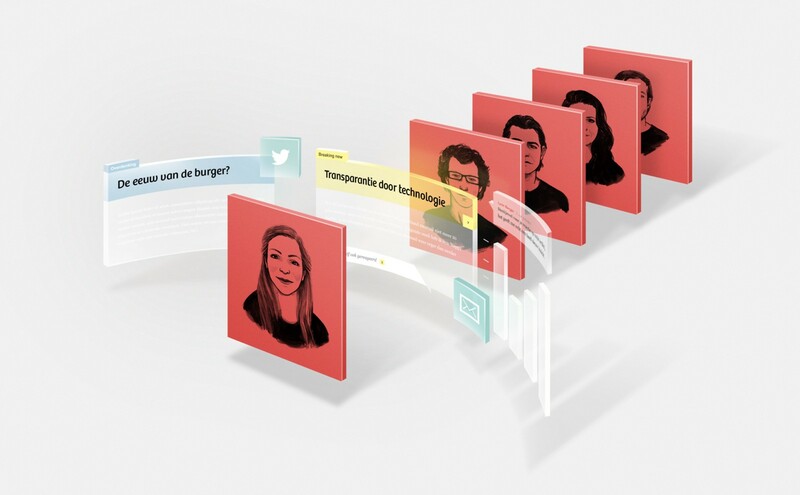 Well-known Dutch intellectuals and writers had pledged their cooperation with De Correspondent if and when the crowd-funding turned out be a success. Two of them — former leader of the Green Party Femke Halsema and documentary journalist Jelle Brandt Corstius — accompanied Rob to the television show and witnessed how, within an hour, 5.000 people invested 60 euros or more. We had estimated our odds 50/50 and were stunned by the early success. Within eight days, we raised the necessary amount of money — and at the end of the crowd-funding campaign 18.933 pioneers had invested in De Correspondent. Journalists, designers and developers participated in brainstorm sessions about how De Correspondent would operate. We believe that when it comes to inventing new ways of telling stories, web-developers are as important as journalists — since they are the ones who’ve mastered the new technologies that can help us get beyond traditional publishing. Or, as Pierre Omidyar has said it recently: technologists know how to get your readers engaged and locked in into your journalism. Therefore, Momkai has joined us as a partner, so it’s ‘resting inside the news company’. Our custom-made CMS — called Respondens — is designed to make it easy for our authors to include different media types in their articles and to set up their own corner of the site with lists of favorite books and sites, and contact information such as Pretty Good Privacy email codes. In the future, we will whitelabel this CMS to further finance our journalistic advertenture. We might also franchise the concept in other countries. We also wanted to build a publication on which readers can contribute their expert knowledge and experience. Let’s assume that a hundred medical doctors are reading De Correspondent. Together they know much more than one medical journalist. Our site needed to be focused on enabling them to share their knowledge with our authors. Therefore, De Correspondent aims for its authors to report on themes that transcend classic beats: themes like energy, privacy, or the economy of the future, to name a few. This reporting takes place in their own ‘gardens’ — sections of the site they can call their own, and in which they can build a relationship with readers who choose to ‘follow’ them. The main goal of this approach is to establish a lasting and meaningful relationship with our readers. Conceived of as ‘members’ rather than ‘subscribers,’ readers are asked to contribute their expertise on specific topics. While vigilant about its editorial independence, De Correspondent believes that a unidirectional, one-to-many relationship between a news medium and its readership is wholly of the past, and that active audience involvement is crucial for maintaining a healthy, thriving platform. When a correspondent has written a story — based on updates in his garden and the interaction with his readers — we’ll highlight this article on our general front-page, so that readers who don’t follow the author will also be able to read it. This is our way of preventing a filter bubble. While reading these articles, our readers won’t be distracted by advertisements, for we are an ad-free site. De Correspondent is a commercial, for-profit enterprise, but our business model focuses on selling content to readers, rather than selling readers to advertisers. Subscription fees and donations are our main source of income, and at least 95 per cent of revenues will be invested in the further development of the platform. The ultimate goal is to improve journalism, not to fill the pockets of shareholders. Apart from promoting some of our articles in Facebook posts, we don’t advertise. We think our readers are our best ambassadors; therefore they can share as many of our articles as they want. When they share an article, a notification bar tells their friends and followers: ‘This article has been shared with you by …’, followed by the member’s name. This strategy seems to work for now, since the ‘New visitors’ and ‘New members’ graphs show similar patterns. Moreover, we can tell that a lot of new readers sign up right after they’ve read an article. Our most popular article (203,676 unique visitors) inspired at least 147 readers to sign up right away. In the first 6 weeks of our existence, almost 4.000 readers have joined us as new members. We still have a long way to go but wanted to share these first findings with you, hoping they will help you determine the strategy of your journalism endeavors. Please don’t hesitate to tweet me if you’ve any questions or remarks (@ejpfauth). 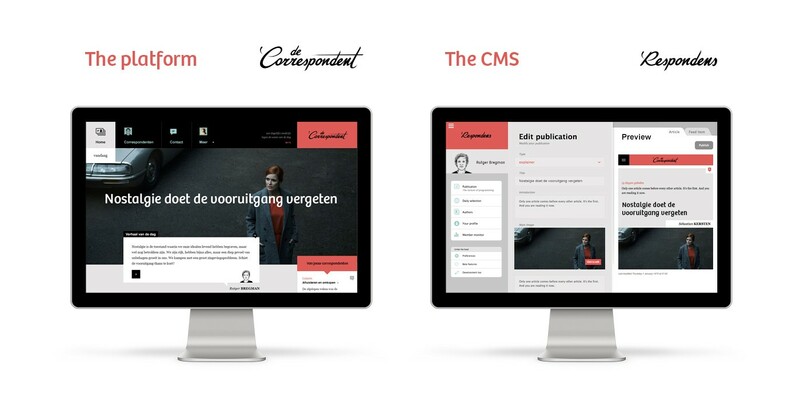 You can find our site at decorrespondent.nl.